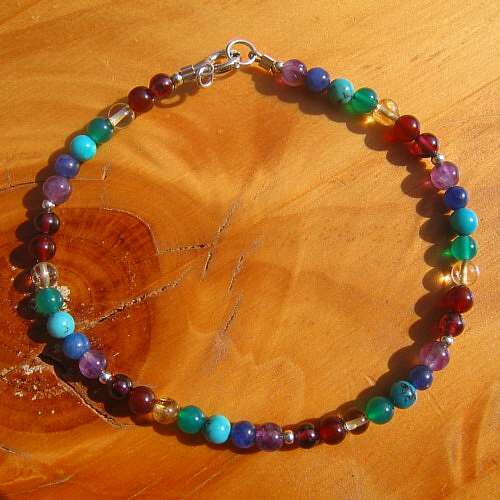 Chakra bracelet seven crystal silver. 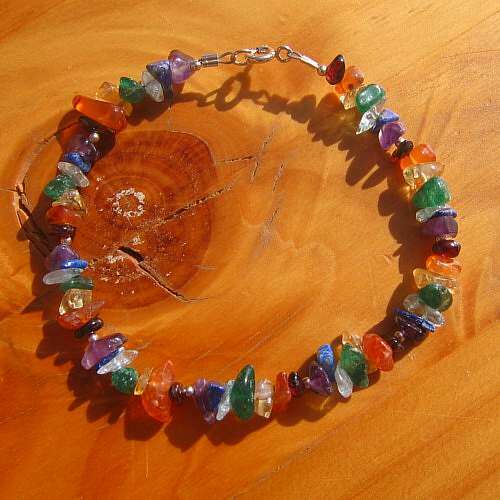 First of all I thread blocks of tumble stone crystals and semi-precious stones on to a fine, strong and flexible wire. Because this wire is covered, it is good for people with allergies to metal. 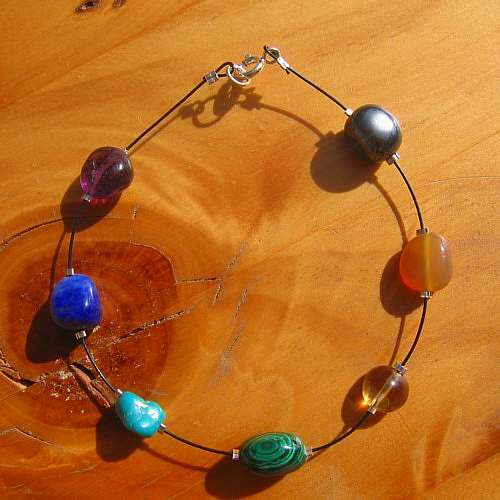 Therefore, you will have amethyst, lapis lazuli, turquoise, peridot, citrine, sunstone and garnet on your bracelet. Each group of stones is set in to place with small sterling silver crimps. As a result, each block of crystals corresponds with each of the seven main chakras. 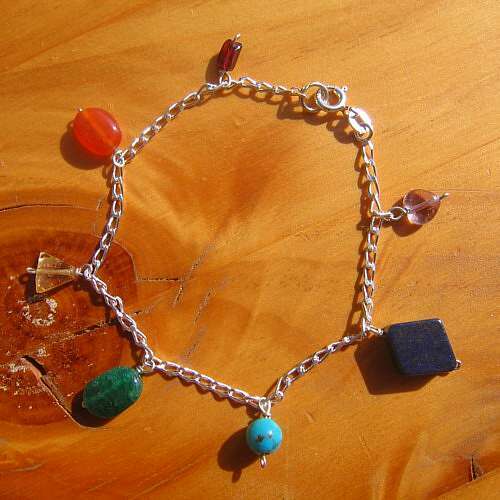 Furthermore, my clients love the dainty look and feel of this bracelet. 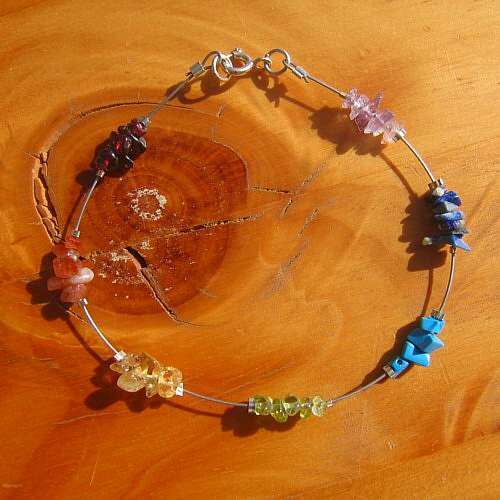 While I use the same type of crystals in each bracelet, each is hand made and unique to you. Finally, I set on a small sterling silver clasp. One size, approximately 8 inch /20 cm.